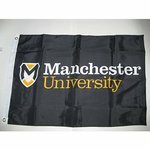 DuraWave flags are manufactured of 150 denier nylon. These flags are double-lock stitched around the perimeter and quadruple stitched on the ''fly end'' for added strength and durability. All flags are finished with a white webbed header and two brass grommets. 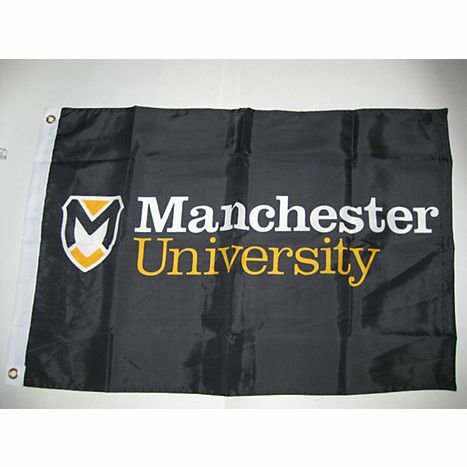 Flag is 2 x 3 with our Manchester University logo in two color.